2 for 1 today! These two recipes are brought to us by the Del Monte Kitchens (in much the same way tuna casseroles are brought to us by Campbells soup). -Cream sugar and oil together. 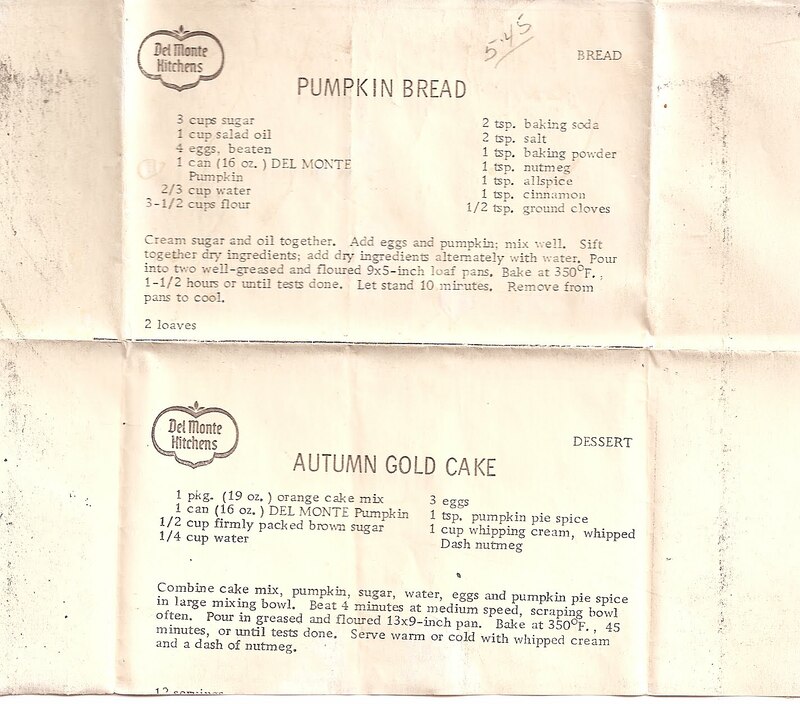 Add eggs and pumpkin, and mix well. -Sift together dry ingredients, and mix in with water and wet ingredients. -Pour into well greased loaf pans. Bake at 350 for 60 to 90 min. 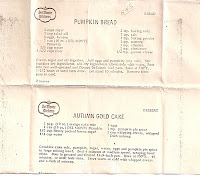 -Combine cake mix, pumpkin, sugar, water, eggs and pumpkin pie spice, and beat for 4 minutes. -Pour into greased cake pan, bake at 350 for 45 min. -Serve topped with whipped cream and a dash of nutmeg.